A much delayed article. A year late, to be precise. There are some things in life that happen out of the blue. Like this brilliant (professional) life starting trip. I got to work with two of the most accomplished and inspiring editors I know. 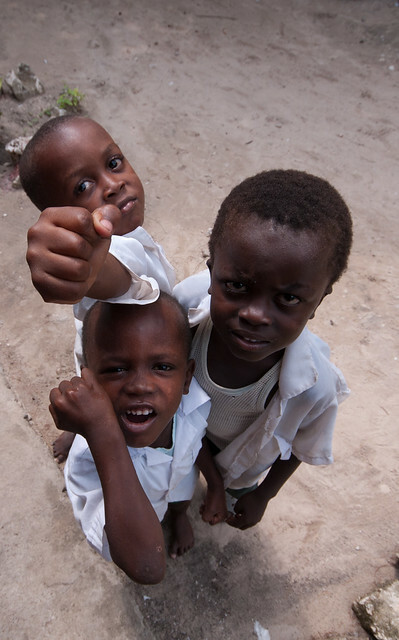 Read on to find out about Zanzibar and my 30 day trip to the island in early 2011. As a photographer, I had decided that Africa was a place I’d visit only when I felt completely prepared. It’s an overwhelming continent, something I’m sure everybody knows already. More so for a photographer I can report. Thing is, with its grave prospects for downright dumbfounding photography (for the viewer and photographer alike), the continent of Africa had intimidated me for quite some time. I had hence decided within my head that I would venture into that part of the world only when I, as a photographer, was better ready. All that changed in an instant when I received my confirmation email from Mambo Magazine. Mambo was a travel/culture online magazine based in Zanzibar, Tanzania. Yet again, my life had managed to trump my game plan but I wasn’t complaining! 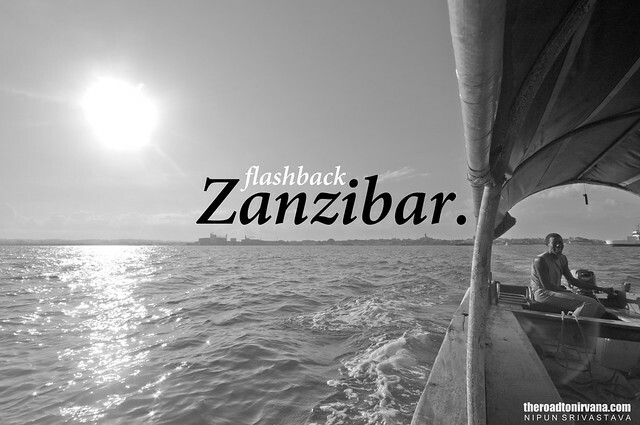 I was to spend a month on the Island of Zanzibar, interning as a photographer and writer. I took off. When you first reach the Island of Zanzibar, you may feel like this is not the quintessential African destination but rest assured. Zanzibar is as African as Africa gets. 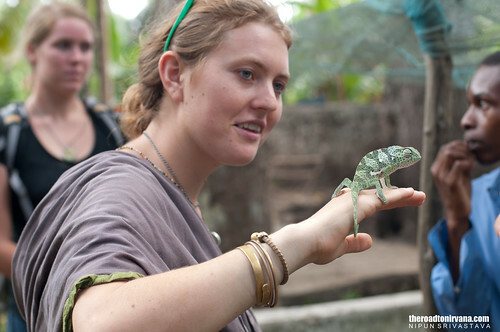 There is wildlife, there is culture and there is the experience of a lifetime. Zanzibar lies about 35 miles off the coast of Dar-es-Salaam, a part of Tanzania in east central Africa. I took a 20 minute flight to Zanzibar from Dar-es-Salaam. One can also opt for the ferry which takes about 2 hours to get you there. Both options invite you into this grove of uniqueness with absolutely stunning vistas. Whether you look at it from the air or while racing across the Indian ocean, this archipelago is a treat for the senses. Once on land I found that life here is laid back. Nobody here is in a hurry, ‘Pole pole’ as they say, slowly slowly. People here are friendly and are completely at ease with tourists. 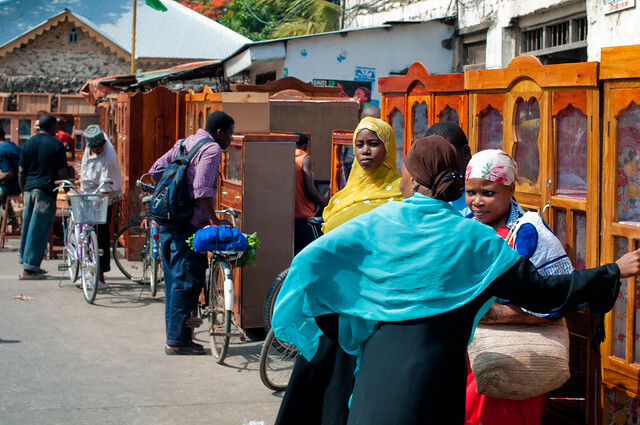 Tourism being the main industry in Zanzibar, the main town known as Stone Town revolves around the traveller. In Stone Town one notices how life here is like any other tourist town but with a slight twist. Zanzibar is home to many different ethnicities, right from Indians to people from the Middle East and of course the African Swahili. The various cultures and people here coexist in a beautiful mixture that is bound to catch your attention and keep you enthralled. 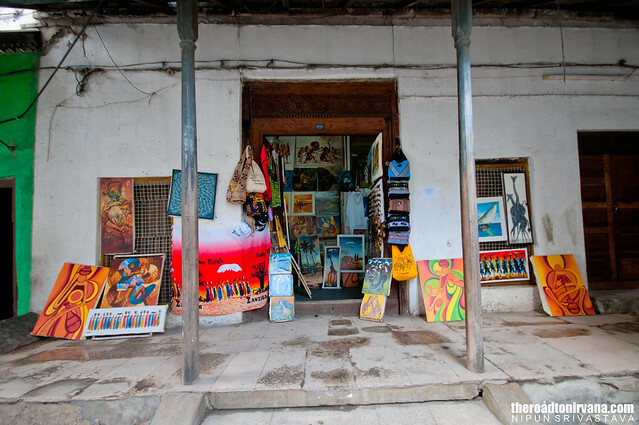 As you walk through the maze of narrow streets and lanes that is Stone Town, you will see small shops on both sides of your path selling local art and souvenirs. One can find scintillating paintings of the forests and the Masai and even abstract which are capable of capturing the attention of the most discerning connoisseur. For the food loving kind, the by-lanes of Stone Town offer authentic Swahili street food in addition to the retro barbeque and grilled preparations of sea food and meats. 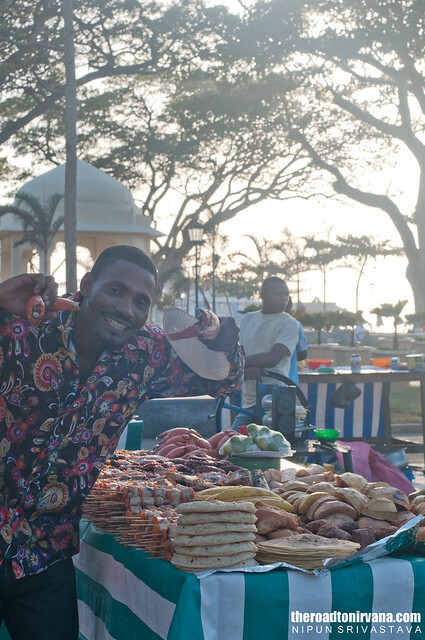 Make your way to Forhodani park and you will be treated to tens of vendors selling grilled sea food such as fish, shrimp and octopus right off the grill! A dish called ‘Urojo’ is a local delicacy, it is a savoury soup and is very healthy and filling – perfect for the weight-watchers. Kassava chips are a popular local munch. If you’re a little fussy, almost every cuisine in the world can be found here, right from the best pizza and pasta from Italy to lassi and tava biryani from India. 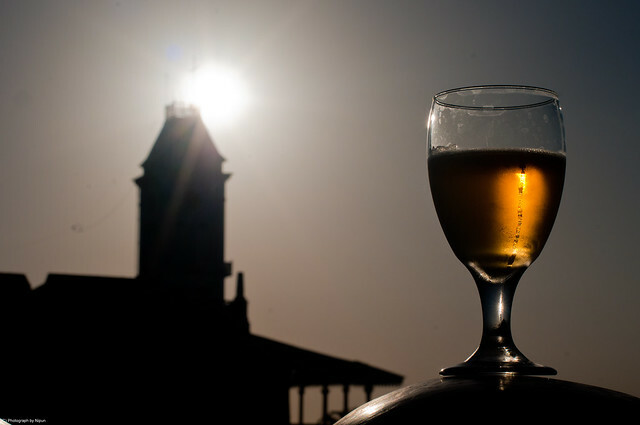 If you’re feeling lavish, head to the Serena Inn, a Stone Town five star, for a pint of Kilimanjaro. Overlooking the ocean, this little escapade will refresh you at any time of the day. 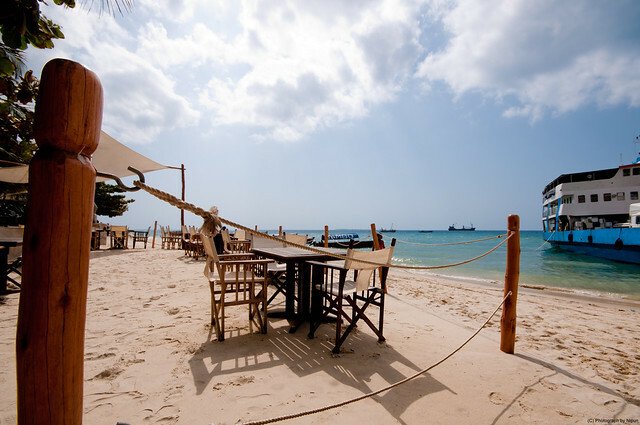 Stone town is also home to a lot of beach cafes, such as the Livingstone. It sits right next to the ferry terminal and hence is always surrounded by interesting happenings, the staff of the Livingstone will also make sure that your time at the resto-bar is worthwhile and that you leave with a stomach full of grub and a spring in your step. The Swahili culture is a very unique one indeed. The women here wear colourful attires and although shy at first, they won’t mind if you ask before taking a picture. Even the clothes worn by the locals have interesting angles to them. The ‘Kanga’, a type of head gear worn by the local women has interesting quotes printed on them which have a hidden meaning. Women communicate amongst themselves and with their husbands and friends using these Kangas, without speaking a single word! Zanzibar is the birth place of Swahili. 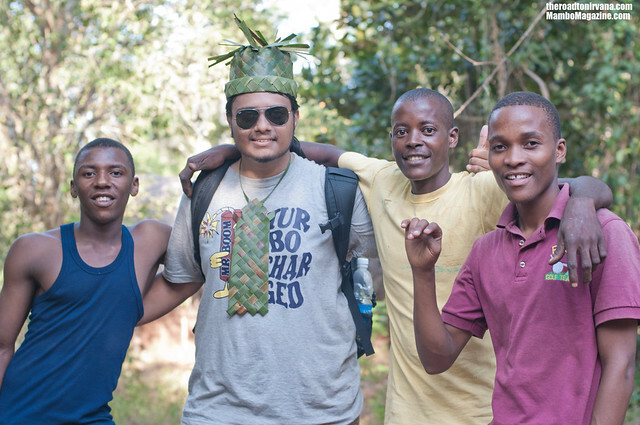 The language is not too tough to grasp for the average traveller, basic Swahili is easy to pick up. ‘Jambo’ a word which means hello, ‘asante’ which means thank you and for Indians, ‘Pilli Pilli’ which stands for chilli is enough to get you through your vacation in paradise here. Even if you’re not a language person, the cheerful spirit and energetic charm of the locals will coax you into learning a few words. Don’t be surprised if you hear people using some Hindi words, for instance the word ‘bas’ stands for enough, just like in Hindi. You get the full tourist experience in Stone Town but if you want to see the real thing, head out. I recommend renting an SUV and taking a drive across the island. That way one gets a chance to really gain a feel for Zanzibar. But, even that is a tad touristy if you ask me. For the hard-core traveller who really wants to discover this place inside out, I suggest you hop onto a ‘Dalla-Dalla’ or a local bus and hang on! These are small Toyota trucks modified to carry a monumental number of passengers. It’ is the perfect way to break the ice between you and the experience. These trucks/busses are the lifeline of the island. Make sure you loose your inhibitions before hopping on though! Being the biker I am I took a six day motorcycle ride across the island and its various beaches/villages. 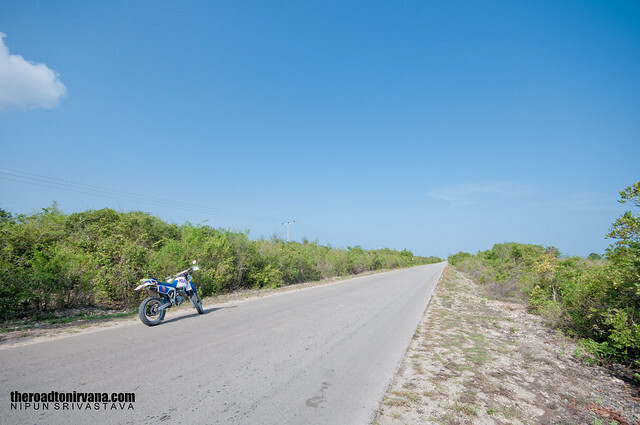 A motorcycle ride according to me is the best way to experience the openness and beauty of Zanzibar. The exhilaration of riding along the smooth roads which mostly run parallel to the coast and feeling the cool ocean breeze is incomparable to any other pleasure. Every spot on the island has a completely different feel. I spent a month here and still can’t wait to get back. Read more about my motorbike ride here: The Magical Motorcycle Tour. The villages are a complete contrast to the town. Hardly any shops, empty roads and the sounds of the Ocean. 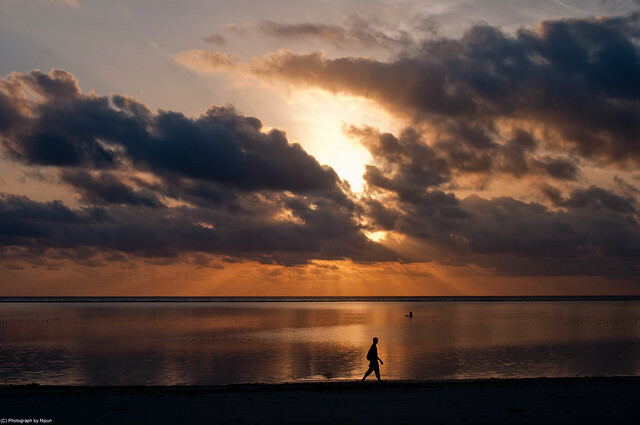 Stay on the east coast for a couple of days and experience the beautiful sunrises over the calm waters of the Indian Ocean. Sunrises here leave one speechless. Party? 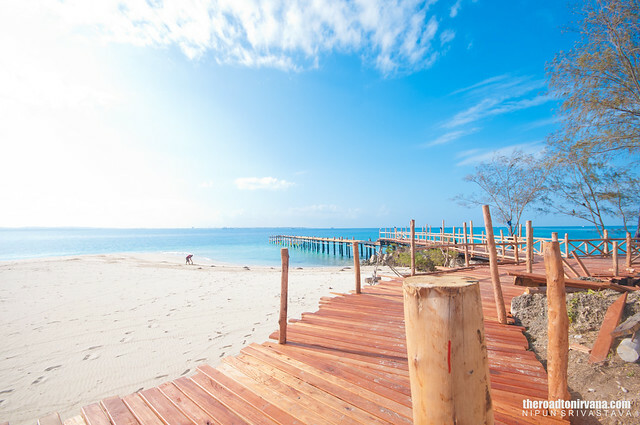 Make your way to Kendwa – it’s the party king of Zanzibar. A great place to chill out and meet fellow travellers. On the west coast, you will be treated to amazing sunsets every evening. Rest assured, you’ll have a story to tell from here! Distances are short here, if you’re in a car. In a couple of hours one can cross the entire island from North to South. The roads are good too but once you’re in a village, be prepared to ride through some sandy patches. It is all great fun though. Zanzibar also has great wildlife. 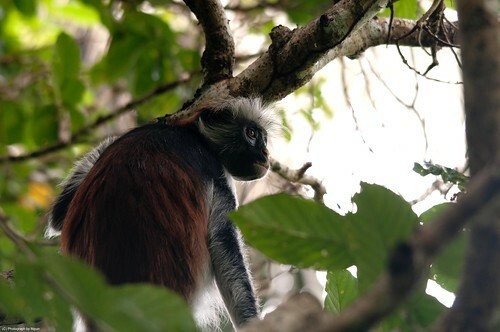 The Jozani national park in the centre of the island is home to the African Red and Black Colobus monkeys. 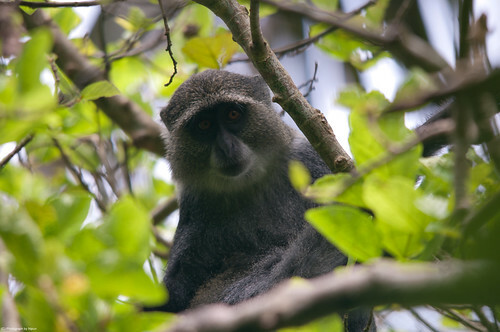 If you are lucky, you might even catch a glimpse of the native Blue Monkey. The guides of the park will take you through the forest foliage and past huge centuries old Baobab trees. They will help you track down the whereabouts of these playful tree dwellers. The Red Colobus and Blue Monkeys. If you have the guts, head to the Zala Park. Zala is a reptile sanctuary managed by two inspiring locals who have dedicated their lives to conserving wildlife on the island. 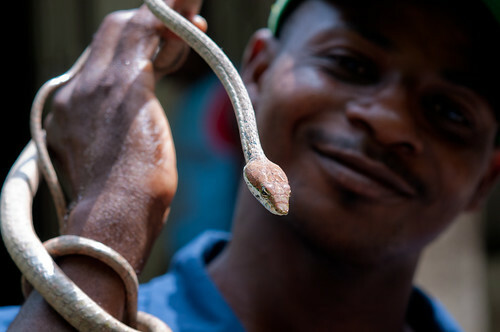 The park is home to some of the most dangerous snakes in the world like the Green Mamba and the Cobra. Who knows, you might even get to hold one. Dolphin tours are also very popular with the tourists here but there is a catch. The excessive tours operated here, some say, are leading to the detriment of the dolphin population. I steered clear of this option to be honest. If you’re lucky, sitting on one of the pristine beaches of this wonder island, you might just get to see the dolphins playing out in the ocean. Take the sea safari on the east coast though. That will give you a guided insight into the daily life of the people living in the coastal regions and will take you close to the culture of the real Swahili Zanzibaris. See how the local women make a living by farming seaweed and making rope from coconut fiber. It’s quite the learning curve! When you want more, take some Swahili cooking lessons. Learn what they eat, how they cook and help do it. Enjoy a cosy meal with one of the local families, right in their home. Take in the cheerful hospitality while you drink coconut water and talk to the family. On this island, even a month is less time! 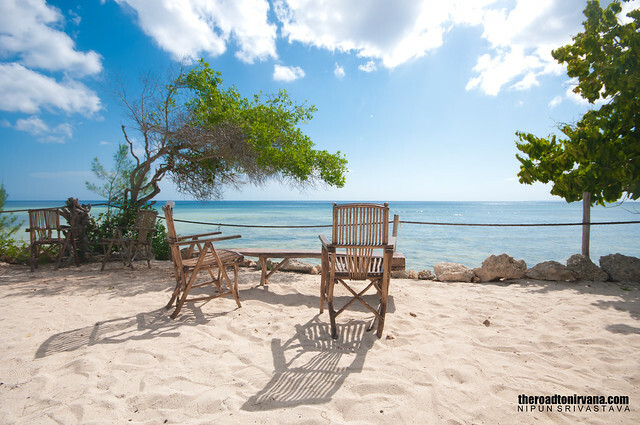 Be it for the honeymooners, backpackers or even adventure freaks, with its myriad avenues when it comes to that extra ordinary travel experience, Zanzibar will see you bowled over. 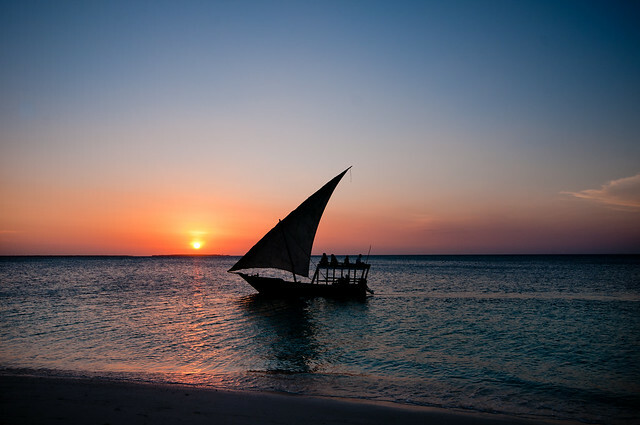 Whether you are looking for a week away in a foreign land or even planning to take your family along for a different kind of trip, my suggestion is, head to Zanzibar and let the Swahili vibe take over. For me, Zanzibar was an eye opener. Mambo and I did a photography workshop on the last day of my trip. It was the first time I was going to be teaching! The workshop was a roaring success! House full! In more ways than one this trip managed to force open my mind and instill in me the confidence needed for the coming year and it’s travel. Africa does that to you. Do visit, it’ll do you a world of good. 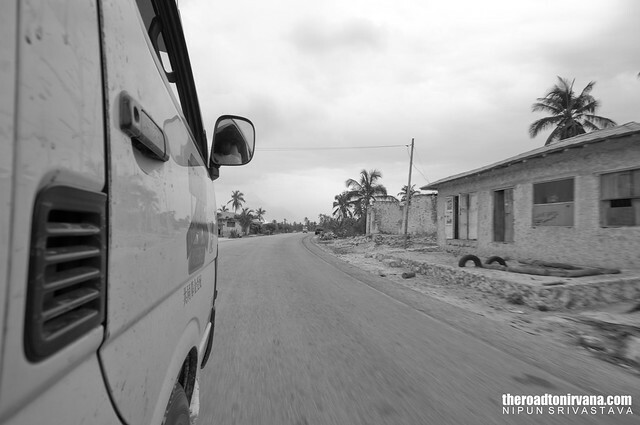 To see more pictures from Zanzibar – Click here. 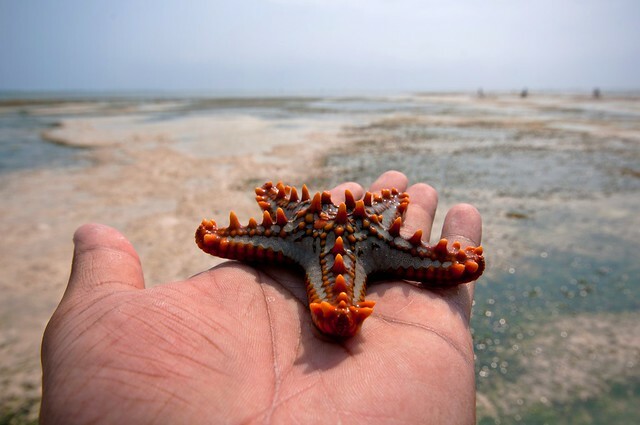 Top ten photographs from my trip to Zanzibar – The Zanzibar Post. 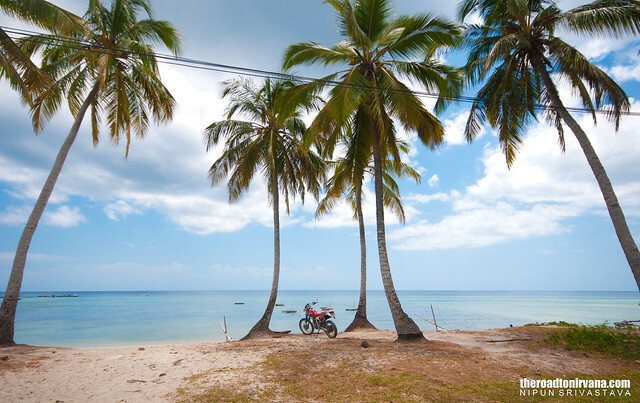 An in-depth Island experience: The Magical Motorcycle Tour. Swahili cooking: Click here to read. The Sea Safari: What lies beneath. Travel article in the Pune Mirror on Zanzibar by Nipun Srivastava: Click here to read. 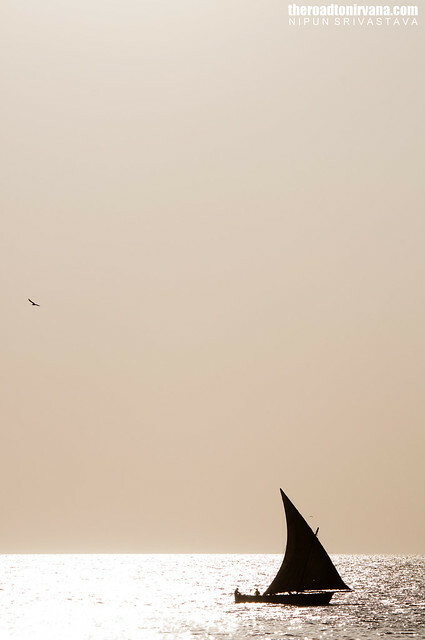 This entry was posted on July 1, 2012 by Nipun Srivastava. It was filed under Photography, Professional travel assignments and was tagged with Africa, baobab, blue, dive, drive, jambo, kendwa, kite surfing, magazine, mambo, michamvi, motorcycle, nikon, Nipun Srivastava, ocean, paje, photography, ride, safari, sea, sea food, stone town, sunrise, sunset, tanzania, Travel, urojo, wildlife, Zanzibar. 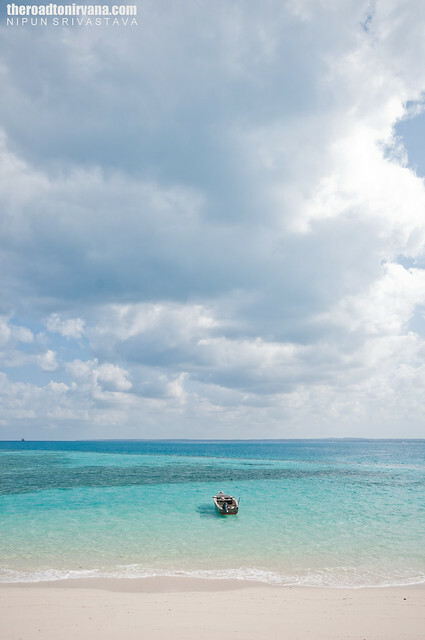 Lovely photos of Zanzibar! We look forward to our visit this year after our African safari adventures (see our travel post “Dreaming of Our African Safari” http://www.sandinmysuitcase.com/dreaming-of-our-african-safari/ ).